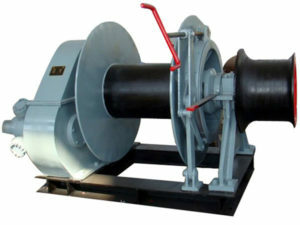 As an important mooring equipment, mooring winch is used during mooring or loading and unloading operations to hold or keep a ship in position on dock without drifting; at the meantime, it can adjust and compensate for the deviation caused by vibration with constant tension, which plays a very important role in ship mooring and allows the operators to position and secures the ship carefully when it comes into port and reduces the risk of accidents and injuries. 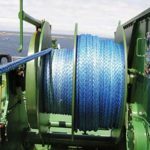 Mooring equipment is applied for restraining and releasing mooring rope, including mooring windlass and capstan, but capstan is not often used for large-scale ships mooring because its rated loading capacity is relatively small compared with electric and hydraulic mooring winches. 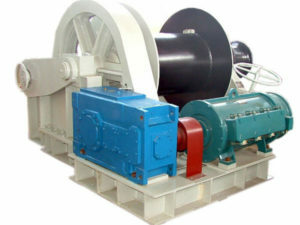 The winch has the drum around which operators can wrap rope, cable or chain depending on the type of ships. According to brake type and braking action mode, there are belt type, disc type, mechanical spiral and spring action type. 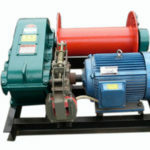 Want to get mooring winch with competitive price? Mooring process is very important for boats or ships and it matters a lot to choose a high quality mooring winch for the mooring operations. 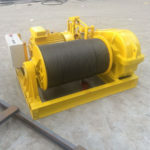 When you plan to buy mooring winch for your ship, you should know well about your ship, including its shape, weight and dimension, which is necessary when you choose the suitable winch for the ship. 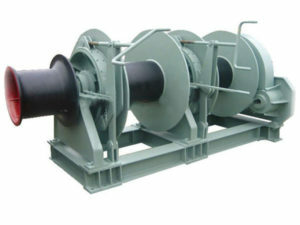 To make sure the safe and effective operation of the mooring windlass, it is necessary to pay much attention to the following things: the foundation of the winch should be carefully checked to make sure it is in good and stable condition; the winch drum, wire or rope, brake, and other parts should be thoroughly inspected before mooring, if there is anything wrong, the mooring process should not be performed before the problem is solved; checks on winch wire or ropes should be performed regularly to ensure they are in good condition all the time; the mooring line should be correctly and orderly reeled on the winch drum without twisting; people should operate the mooring winch for ships properly according to operation manual and guidelines. 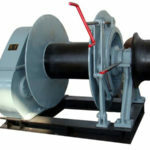 Ellsen company designs and manufactures these different kinds of mooring winches in accordance with customers’ demand. 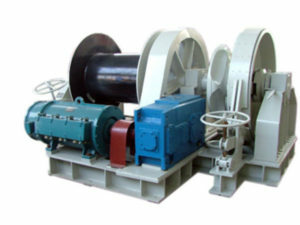 We have electric, hydraulic and diesel engine drive mooring winches. 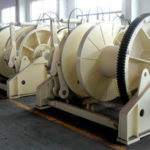 In order to provide you with detailed information and help you select suitable winch, we need to know the following information as you require: the rated load or pull, single drum or double drum, drum rope capacity (including rope length and diameter), speed, if rope spooling device is needed, electric, hydraulic or diesel engine drive, etc. Speaking of mooring ways, there are wharf mooring, ship to ship mooring, single point mooring and multi-buoy mooring. When you moor a vessel, mooring equipment is necessary and it must resist many external factors, such as wind, wave, flow, tide and draft changes. Windlass mooring winch has a variety of functions: fix one end of mooring rope on the ship; adjust rope length to adapt to the port mooring mode and compensate for draft and tide changes; store mooring rope and act as security device, once the force on the rope approaches to breaking force, it can control the marine winch to release the load on the rope, which ensures the safe mooring a ship. 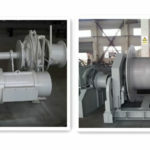 For more details about mooring winch for ships, you can just visit Ellsen marine winch website and you will be warmly welcomed to ask questions or leave messages to us by means of our contacts. Except for mooring winches, we also provide other kinds of marine winches, towing winch, anchor winch, cable pulling winch, capstan and so on. To get mooring windlass quotation, you just need to send inquiry to us.